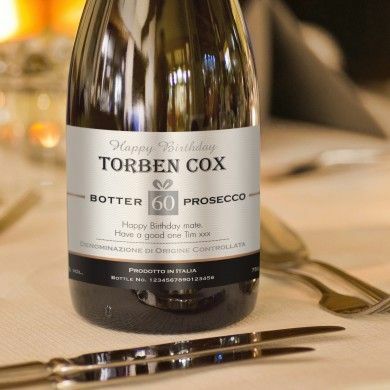 Celebrate a birthday in style with a personalised Prosecco bottle with a bespoke label personalised with their name and age. Your own message for the Birthday Boy or Girl is also incorporated onto the design making a keepsake that's unique and heartfelt. The inside of the sleek bottle contains a fine Prosecco with a crisp taste and delicate bouquet, the bubbles release hints of peach and apple followed by notes of acacia and wisteria creating a fresh and light feel on the palate. This fine sparkling wine is perfect for toasting any Birthday, whether it's a milestone one or not, and is as unique and individual as the recipient. The bottle's label is designed to be long lasting and so can be kept as a memento long after the event has passed. 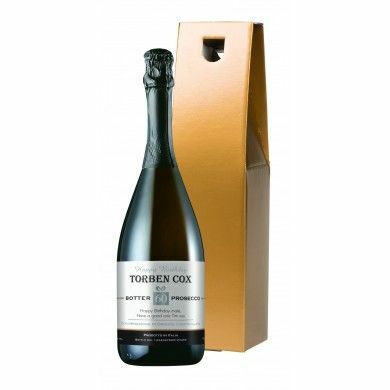 The bottle is presented in a gold gift carton or a black silk lined Gift Box.